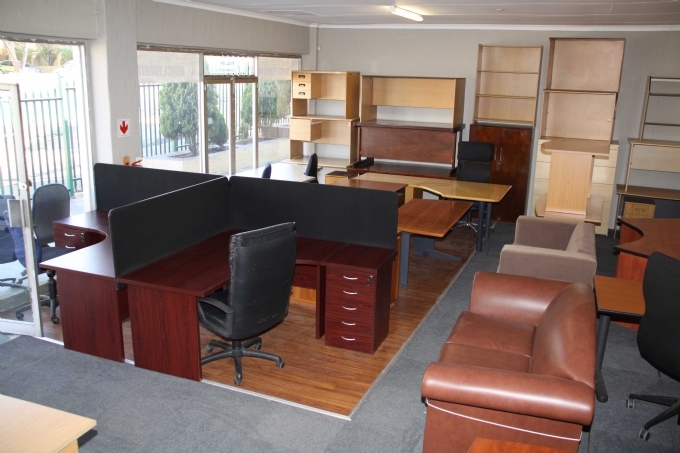 Oxford Office Furniture is based on the corner of Oxford and Cork road in Ferndale, Randburg, Gauteng. We supply, deliver and install a large range of new and second hand office furniture to suit your needs and budget. Oxford Office Furniture was started in 2005 with a small staff compliment and has now grown into a formidable supplier of office furniture. We deliver and install with our own vehicles and staff throughout Gauteng and sometimes even nationally. We have three large showrooms for our customers to come in and view the items we have on display. We also offer drawings that show the furniture layout in your office. We sell new and used office desks, boardroom furniture, reception area items, coffee tables, filing solutions, Office chairs and display cabinets. Browse through our website and see all our new furniture for sale. For second hand office furniture we advise our customers to come in a see the items as they vary in condition and quantity. Oxford Office Furniture can also assist with custom-made furniture items. We can manufacture tailor made furniture in either melamine or veneer to fit your specific requirements. Contact us now for all your new and second hand office furniture requirements.